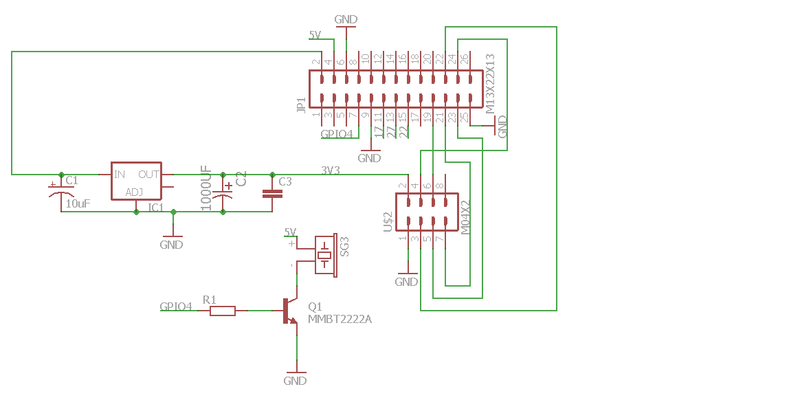 With the Raspberry Pi NRF24l01+ Shield Add-on for the Raspberry Pi's 32PIN Connector, you can easily connect a NRF24l01+ module and use the convenient prototyping area for connecting a variety of electronic building blocks at the same time. The shield can be easily inserted in the Raspberry Pi above board. For RPI with a cooler on the processor a taller connector should be used.